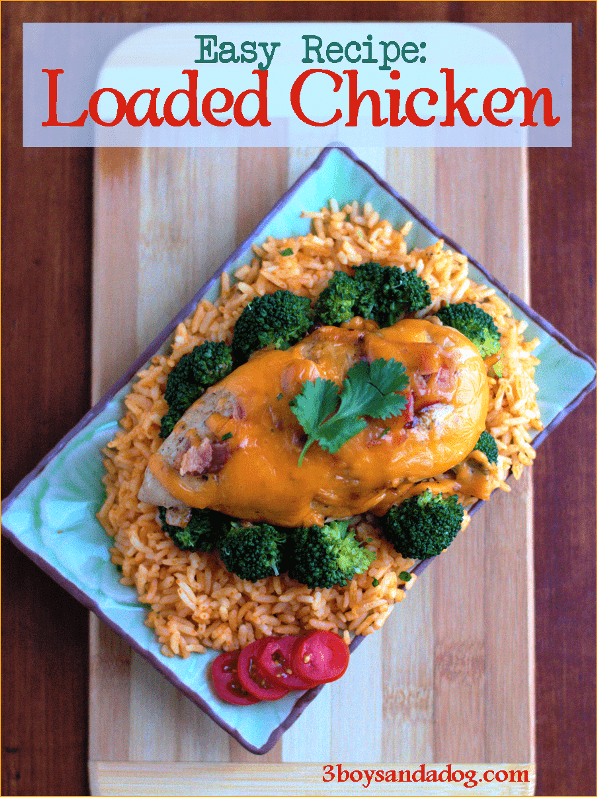 I made this Loaded Chicken Breast Recipe up one night (no recipe, no cook time, nothing) and the Family raved. In fact, my husband even learned to make it so he can do it! This is one of those easy recipes that we can throw together at the drop of a hat. Between busy boys and busy parents, dinner-time is getting harder and harder to do. I am so glad we have this family favorite recipe that is super quick to make! Take Chicken breast halves straight from bag in freezer and rinse the ice crystals off under tap water. Then, lie flat side down in heated pan. Sprinkle top of chicken breasts with seasoning, then coat with Teriyaki. Cook on one side for 14 minutes then, flip and cook for about 14 more minutes. Cover chicken with bacon pieces and top with shredded cheddar. Turn off heat and cover pan. Allow to sit about 10 minutes. I serve with Spanish Rice and Steamed Veggies. The four chicken breast halves serve my family of five with enough left over for my lunch the next day. 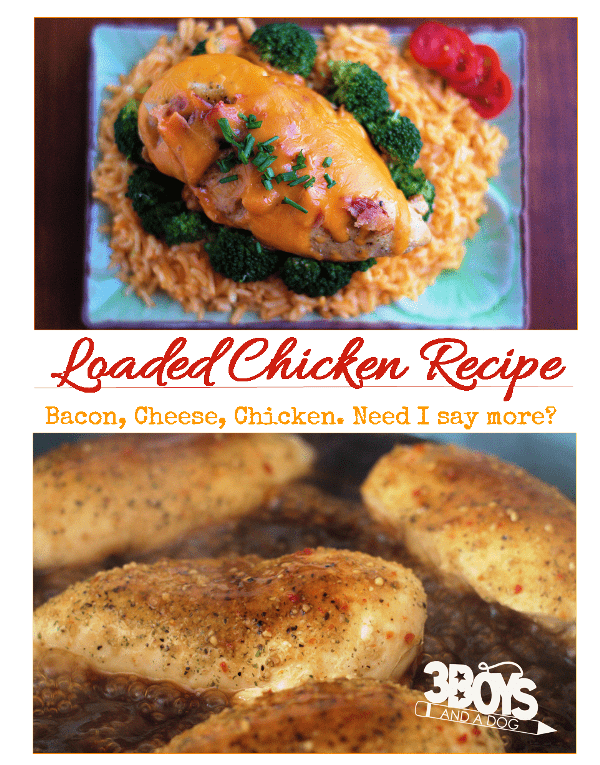 If, like me, you stocked up on Chicken at Winn-Dixie this week, you will want more than just the Loaded Chicken Breasts Recipe above! 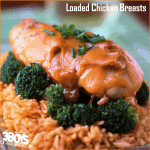 So, here are some more of my quick and easy Chicken Dish choices! When making Chicken, I always want to make potato salad – but that can get boring after a while. So, the following side dish recipes can help you mix up dinner a bit tonight! 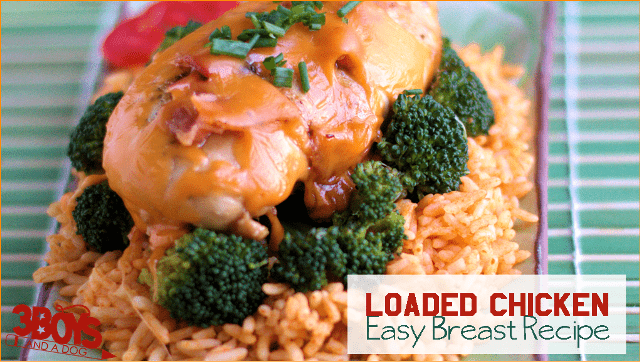 Your Loaded Chicken Breasts Recipe looks full of flavor and one that we will really enjoy. Thank you so much for celebrating TWO YEARS with FULL PLATE THURSDAY, I appreciate your visit! This sounds so simple. And cheese and bacon make everything better! Congrats, Kelli! This post was my #2 most clicked post in The Mommy Club-Mommy solutions and resources the past week! I really appreciate you taking the time to link up and share. Stop over and see your feature. I can’t wait to see what you share this week! I’m following you on Pinterest and gave your post a pin. Oh my goodness, that looks delicious. I wish I was not on a diet. I will have to bookmark this for one of my cheat days lol! This looks absolutely delicious – not to mention my husband and boys will love it. Thank you for sharing, I am Pin’ing it right now!